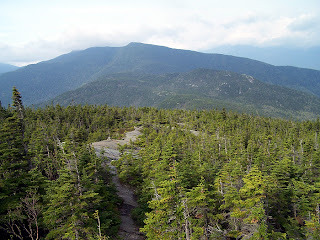 - With the weather improving it was time to start hiking big traverses, up first the Wildcat/Carter/Moriah Traverse. The first 8.5 miles I'd be hiking solo from Moriah to North Carter where I'd meet up with Alton and Patrick and hike over the Carters and Wildcats. - On Trail at 5:30am, Moriah, 7:30am, North Carter 9:45am, Height 11:30am, Carter Dome, 12:00pm, Wildcat A 1:15pm, finished 3pm. Temps in the 60's in and out of the clouds with hazy views and light wind. - I'm not a huge fan of the Carter Moriah Trail past Mount Surprise, it always takes me longer to get to the summit than it seems it should. - From Moriah to North Carter would be my first time on that section of the Carter-Moriah Trail. 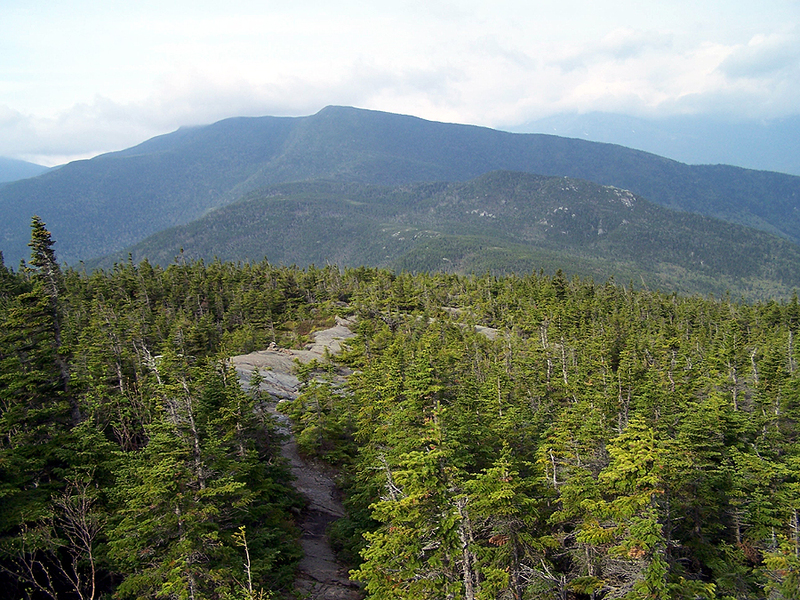 From Mount Moriah to the Stony Brook Trail junction is simply beautiful walking in and out of the scrub over ledges with terrific views of the Carters and the Presidential Range. I wouldn't want to be out there in the winter though, looks like it'd be tough to follow the trail in the snow. I also really enjoyed the steep ascent up to North Carter, it's ledgey and lots of fun. 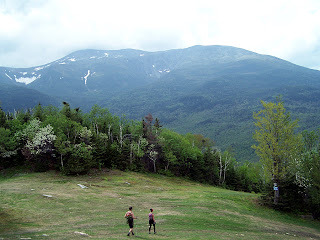 - I ran into a bunch of people backpacking the Carters and Moriah along the way. Some were happy but others looked spent and miserable! - At the North Carter Trail junction I meet up with Alton and Patrick and we hiked at a solid pace over the Carters and Wildcats. 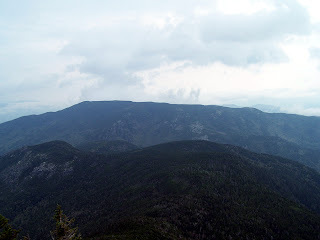 We stopped at Mont Height where views were good to the north but socked in everywhere else. - The hike up to Wildcat and over the ridge drained me. This hike has lots of elevation gain and it's over unforgiving terrain but I sucked it up and kept up with both Patrick and Alton. - We took the ski slopes back down, Alton is not a fan of the steep descent off Wildcat "E" Peak. Instead of staying on the Polecat Ski Trails the whole way down we cut back across the mountain under the ski lift, and wrapped back down going under the zip lines. We even ran the last five minutes or so which was a killer! - While heading down the slopes the Views across to Washington opened up make for some spectacular scenery! Chris, I did this hike in the opposite direction on Thursday. On the Carter-Moriah I cleared lots of downed branches that were blocking the trail but also left a lot. Sounds like others may have also helped out with this. I only ran into one group all day - a group of 4 backpackers just past the Imp Shelter - they were having a tough time and were headed to the hut that day.